Musical short films were made by Lee de Forest in 1923-24. Beginning in 1926, thousands of Vitaphone shorts were made, many featuring bands, vocalists and dancers. The earliest feature-length films with synchronized sound had only a soundtrack of music and occasional sound effects that played while the actors portrayed their characters just as they did in silent films: without audible dialogue. The Jazz Singer, released in 1927 by Warner Brothers, was the first to include an audio track including non-diegetic music and diegetic music, but it had only a short sequence of spoken dialogue. This feature-length film was also a musical, featuring Al Jolson singing "Dirty Hands, Dirty Face", "Toot, Toot, Tootsie", "Blue Skies" and "My Mammy". Historian Scott Eyman wrote, "As the film ended and applause grew with the houselights, Sam Goldwyn's wife Frances looked around at the celebrities in the crowd. She saw 'terror in all their faces', she said, as if they knew that 'the game they had been playing for years was finally over. Still, only isolated sequences featured "live" sound; most of the film had only a synchronous musical score. In 1928, Warner Brothers followed this up with another Jolson part-talkie, The Singing Fool, which was a blockbuster hit. Theaters scrambled to install the new sound equipment and to hire Broadway composers to write musicals for the screen. The first all-talking feature, Lights of New York, included a musical sequence in a night club. The enthusiasm of audiences was so great that in less than a year all the major studios were making sound pictures exclusively. The Broadway Melody (1929) had a show-biz plot about two sisters competing for a charming song-and-dance man. Advertised by MGM as the first "All-Talking, All-Singing, All-Dancing" feature film, it was a hit and won the Academy Award for Best Picture for 1929. There was a rush by the studios to hire talent from the stage to star in lavishly filmed versions of Broadway hits. The Love Parade (Paramount 1929) starred Maurice Chevalier and newcomer Jeanette MacDonald, written by Broadway veteran Guy Bolton. Warner Brothers produced the first screen operetta, The Desert Song in 1929. They spared no expense and photographed a large percentage of the film in Technicolor. This was followed by the first all-color, all-talking musical feature which was entitled On with the Show (1929). The most popular film of 1929 was the second all-color, all-talking feature which was entitled Gold Diggers of Broadway (1929). This film broke all box office records and remained the highest-grossing film ever produced until 1939. Suddenly the market became flooded with musicals, revues and operettas. The following all-color musicals were produced in 1929 and 1930 alone: The Show of Shows (1929), Sally (1929), The Vagabond King (1930), Follow Thru (1930), Bright Lights (1930), Golden Dawn (1930), Hold Everything (1930), The Rogue Song (1930), Song of the Flame (1930), Song of the West (1930), Sweet Kitty Bellairs (1930), Under a Texas Moon (1930), Bride of the Regiment (1930), Whoopee! (1930), King of Jazz (1930), Viennese Nights (1930), Kiss Me Again (1930). In addition, there were scores of musical features released with color sequences. 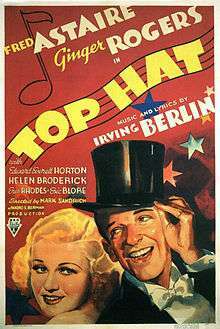 Musical stars such as Fred Astaire and Ginger Rogers were among the most popular and highly respected personalities in Hollywood during the classical era; the Fred and Ginger pairing was particularly successful, resulting in a number of classic films, such as Top Hat (1935), Swing Time (1936) and Shall We Dance (1937). Many dramatic actors gladly participated in musicals as a way to break away from their typecasting. For instance, the multi-talented James Cagney had originally risen to fame as a stage singer and dancer, but his repeated casting in "tough guy" roles and mob films gave him few chances to display these talents. Cagney's Oscar-winning role in Yankee Doodle Dandy (1942) allowed him to sing and dance, and he considered it to be one of his finest moments. During the late 1940s and into the early 1950s, a production unit at Metro-Goldwyn-Mayer headed by Arthur Freed made the transition from old-fashioned musical films, whose formula had become repetitive, to something new. (However, they also produced Technicolor remakes of such musicals as Show Boat, which had previously been filmed in the 1930s.) In 1939, Freed was hired as associate producer for the film Babes in Arms. Starting in 1944 with Meet Me in St. Louis, the Freed Unit worked somewhat independently of its own studio to produce some of the most popular and well-known examples of the genre. The products of this unit include Easter Parade (1948), On the Town (1949), An American in Paris (1951), Singin' in the Rain (1952) and The Band Wagon (1953). This era saw musical stars become household names, including Judy Garland, Gene Kelly, Ann Miller, Donald O'Connor, Cyd Charisse, Mickey Rooney, Vera-Ellen, Jane Powell, Howard Keel, and Kathryn Grayson. Fred Astaire was also coaxed out of retirement for Easter Parade and made a permanent comeback. In the 1960s the success of the films West Side Story, The Music Man, My Fair Lady, Mary Poppins, The Sound of Music, Thoroughly Modern Millie, Oliver! and Funny Girl suggested that the traditional musical was in good health. 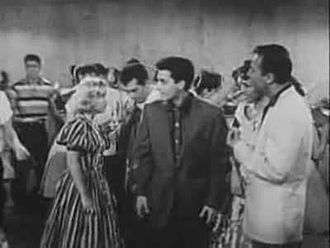 However popular musical tastes were being heavily affected by rock and roll and the freedom and youth associated with it, and indeed Elvis Presley made a few films that have been equated with the old musicals in terms of form. Most of the musical films of the 1950s and 1960s such as Oklahoma! and The Sound of Music were straightforward adaptations or restagings of successful stage productions. The most successful musical of the 1960s created specifically for film was Mary Poppins, one of Disney's biggest hits. Despite the success of these musicals, Hollywood also produced a series of musical flops in the late 1960s and early 1970s which appeared to seriously misjudge public taste. The commercially and/or critically unsuccessful films included Camelot, Finian's Rainbow, Hello Dolly!, Sweet Charity, Doctor Dolittle, Star!, Darling Lili, Goodbye, Mr. Chips, Paint Your Wagon, Song of Norway, On a Clear Day You Can See Forever, Man of La Mancha, Lost Horizon and Mame. Collectively and individually these failures crippled several of the major studios. In the 1970s, film culture and the changing demographics of filmgoers placed greater emphasis on gritty realism, while the pure entertainment and theatricality of classical era Hollywood musicals was seen as old-fashioned. Changing cultural mores and the abandonment of the Hays Code in 1968 also contributed to changing tastes in film audiences. The 1973 film of Andrew Lloyd Webber and Tim Rice's Jesus Christ Superstar was met with some criticism by religious groups, but was well received. By the mid-1970s filmmakers avoided the genre in favor of using music by popular rock or pop bands as background music, partly in hope of selling a soundtrack album to fans. The Rocky Horror Picture Show was originally released in 1975 and was a critical failure until it started midnight screenings in the 1980s where it achieved cult status. 1976 saw the release of the low-budget comic musical, The First Nudie Musical, released by Paramount. The 1978 film version of Grease was a smash hit; its songs were original compositions done in a 1950s pop style. However, the sequel Grease 2 (released in 1982) bombed at the box-office. Films about performers which incorporated gritty drama and musical numbers interwoven as a diegetic part of the storyline were produced, such as Lady Sings the Blues, All That Jazz, and New York, New York. Some musicals released in the New Hollywood period experimented with the form, such as Bugsy Malone and Lisztomania. The film musicals that were still being made were financially and critically less successful than in their heyday. They include The Wiz, At Long Last Love, Mame, Man of La Mancha, Lost Horizon, Godspell, Phantom of the Paradise, Funny Lady (Barbra Streisand's sequel to Funny Girl), A Little Night Music and Hair amongst others. The critical wrath against At Long Last Love in particular was so strong that it was never released on home video. Fiddler on the Roof and Cabaret were more traditional musicals closely adapted from the stage versions and were popular and critical successes. Fantasy musical films Scrooge, Willy Wonka & the Chocolate Factory, Pete's Dragon and Bedknobs & Broomsticks were also released in the 1970s, the latter winning the Academy Award for Best Visual Effects. By the 1980s, financiers grew increasingly confident in the musical genre, partly buoyed by the relative health of the musical on Broadway and London's West End. Productions of the 1980s and 1990s included The Apple, Xanadu, The Blues Brothers, Annie, Monty Python's The Meaning of Life, The Best Little Whorehouse in Texas, Victor Victoria, Footloose, Fast Forward, A Chorus Line, Little Shop of Horrors, Forbidden Zone, Absolute Beginners, Labyrinth (film), Evita and Everyone Says I Love You. However, Can't Stop the Music, starring the Village People, was a calamitous attempt to resurrect the old-style musical and was released to audience indifference in 1980. Little Shop of Horrors was based on an off-Broadway musical adaptation of a 1960 Roger Corman film, a precursor of later film-to-stage-to-film adaptations, including The Producers. In the 21st century the musical movie was reborn with darker musicals such as Moulin Rouge!, Chicago, The Phantom of the Opera, Dreamgirls, Sweeney Todd: The Demon Barber of Fleet Street, Les Miserables, and Into The Woods. All of which won the Golden Globe Award for Best Motion Picture – Musical or Comedy in their respective years, with the exceptions of The Phantom of the Opera and Into The Woods, which were only nominated. Chicago was also the first musical since Oliver! to win Best Picture at the Academy Awards. One specific musical trend was the rising number of jukebox musicals based on music from various pop/rock artists on the big screen, some of which based on Broadway shows. Examples of Broadway based jukebox musical films included Mamma Mia (ABBA), Rock of Ages, and Sunshine on Leith (The Proclaimers). Original ones included Across the Universe (The Beatles), Moulin Rouge! (various pop hits), and Idlewild (Outkast). Disney also returned to musicals with High School Musical, Enchanted, The Princess and the Frog, Tangled, Winnie the Pooh, The Muppets, Muppets Most Wanted, Frozen, and Into the Woods. Biopics about music artists were also big in the 21st century. Examples include 8 Mile (Eminem), Ray (Ray Charles), Walk the Line (Johnny Cash and June Carter), Notorious (Biggie Smalls), Jersey Boys (The Four Seasons) Love & Mercy (Brian Wilson), CrazySexyCool: The TLC Story (TLC), Aaliyah: The Princess of R&B (Aaliyah), Whitney (Whitney Houston) and Straight Outta Compton (N.W.A). Damien Chazelle, director of Whiplash, created a musical film called, La La Land, starring Ryan Gosling and Emma Stone. It was meant to reintroduce the traditional jazz style of song numbers with influences from the Golden Age of Hollywood and French musicals while incorporating a contemporary/modern take on the story and characters with balances in fantasy numbers and grounded reality. Bollywood dances usually follow or are choreographed to filmi songs. In the 2000s, Bollywood musicals played an instrumental role in the revival of the musical film genre in the Western world. Baz Luhrmann stated that his successful musical film Moulin Rouge! (2001) was directly inspired by Bollywood musicals. The film thus pays homage to India, incorporating an Indian-themed play based on the ancient Sanskrit drama The Little Clay Cart and a Bollywood-style dance sequence with a song from the film China Gate. The Guru and The 40-Year-Old Virgin also feature Indian-style song-and-dance sequences; the Bollywood musical Lagaan (2001) was nominated for the Academy Award for Best Foreign Language Film; two other Bollywood films Devdas (2002) and Rang De Basanti (2006) were nominated for the BAFTA Award for Best Film Not in the English Language; and Danny Boyle's Academy Award winning Slumdog Millionaire (2008) also features a Bollywood-style song-and-dance number during the film's end credits. In 1930 the esteemed Soviet film director Sergei Eisenstein went to the United States with fellow director Grigori Aleksandrov to study Hollywood’s filmmaking process. The American films greatly impacted Aleksandrov, particularly the musicals. He returned in 1932, and in 1934 directed The Jolly Fellows, the first Soviet musical. The film was light on plot and focused more on the comedy and musical numbers. Party officials at first met the film with great hostility. Aleksandrov defended his work by arguing the notion of laughter for laughter's sake. Finally, when Aleksandrov showed the film to Stalin, the leader decided that musicals were an effective means of spreading propaganda. Messages like the importance of collective labor and rags-to-riches stories would become the plots of most Soviet musicals. The first successful blend of a social message and entertainment was Aleksandrov’s Circus (1936). It starred his wife, Lyubov Orlova (an operatic singer who had also appeared in The Jolly Fellows) as an American circus performer who has to immigrate to the USSR from the U.S. because she has a mixed race child, whom she had with a black man. Amidst the backdrop of lavish musical productions, she finally finds love and acceptance in the USSR, providing the message that racial tolerance can only be found in the Soviet Union. The influence of Busby Berkeley's choreography on Aleksandrov’s directing can be seen in the musical number leading up to the climax. Another, more obvious reference to Hollywood is the Charlie Chaplin impersonator who provides comic relief throughout the film. Four million people in Moscow and Leningrad went to see Circus during its first month in theaters. Another of Aleksandrov's more popular films was The Bright Path (1940). This was a reworking of the fairytale Cinderella set in the contemporary Soviet Union. The Cinderella of the story was again Orlova, who by this time was the most popular star in the USSR. It was a fantasy tale, but the moral of the story was that a better life comes from hard work. Whereas in Circus, the musical numbers involved dancing and spectacle, the only type of choreography in Bright Path is the movement of factory machines. The music was limited to Orlova’s singing. Here, work provided the spectacle. The other director of musical films was Ivan Pyryev. Unlike Aleksandrov, the focus of Pyryev’s films was life on the collective farms. His films, Tractor Drivers (1939), The Swineherd and the Shepherd (1941), and his most famous, Cossacks of the Kuban (1949) all starred his wife, Marina Ladynina. Like in Aleksandrov’s Bright Path, the only choreography was the work the characters were doing on film. Even the songs were about the joys of working. ↑ "Baz Luhrmann Talks Awards and "Moulin Rouge"". 1 2 Ranga. "East Side Story"